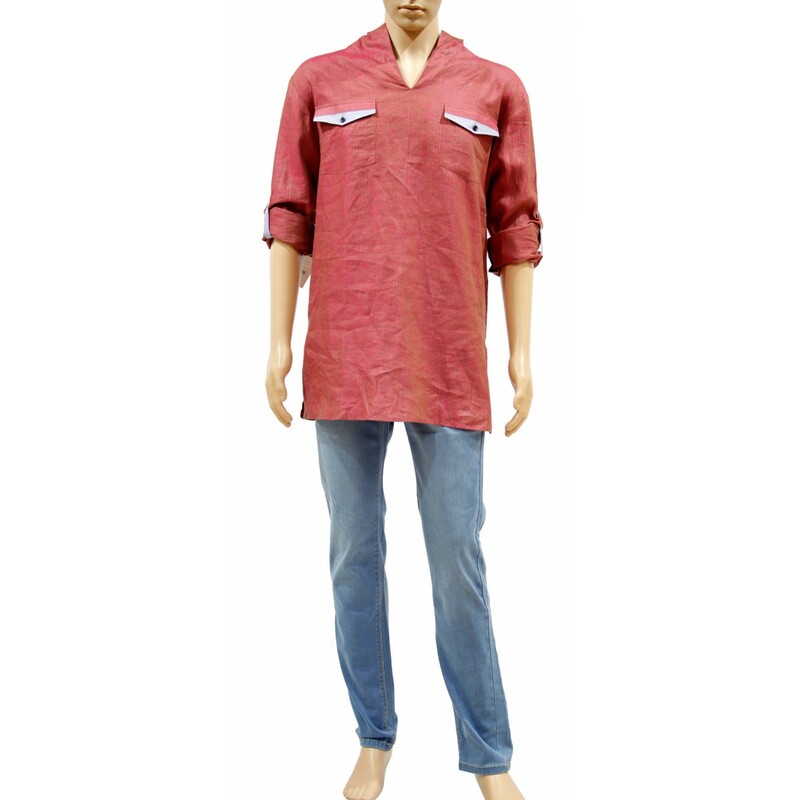 tylish red color kurta with matching pyjama add a grace to your personality. 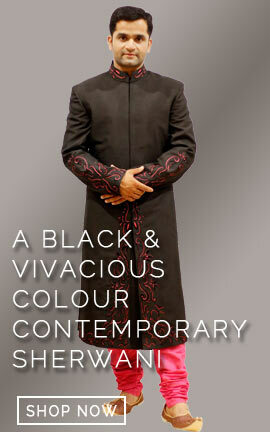 Arresting look flap pattern chest pocket on both side, V-neck and full sleeves showing its refinement. You look dashing and handsome in this kurta pyjama. 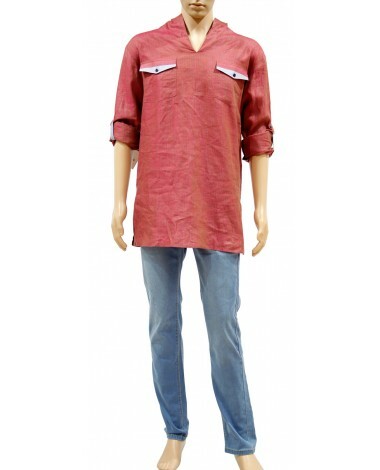 Stylish red color kurta with matching pyjama add a grace to your personality. Arresting look flap pattern chest pocket on both side, V-neck and full sleeves showing its refinement. You look dashing and handsome in this kurta pyjama.